We offer student homes and apartment rentals near the campus in Kirksville, MO. 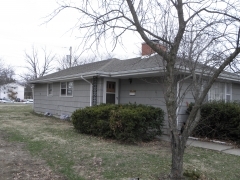 Apartments, student housing and rentals for rent or for lease in Kirksville Missouri 63501. Affordable houses near Truman State University, ATSU University, and KCOM Medical School. Heritage House Rentals LLC Real Estate for duplexes, condos, and houses.